On a semi-slow day, our inbox was just hit with a variety of rumors that we thought were worth sharing as long as you all understand these are just “rumors.” None of these have been 100% confirmed, but since they impact a couple of our closest family members, we wanted to get them out in the open. 1. 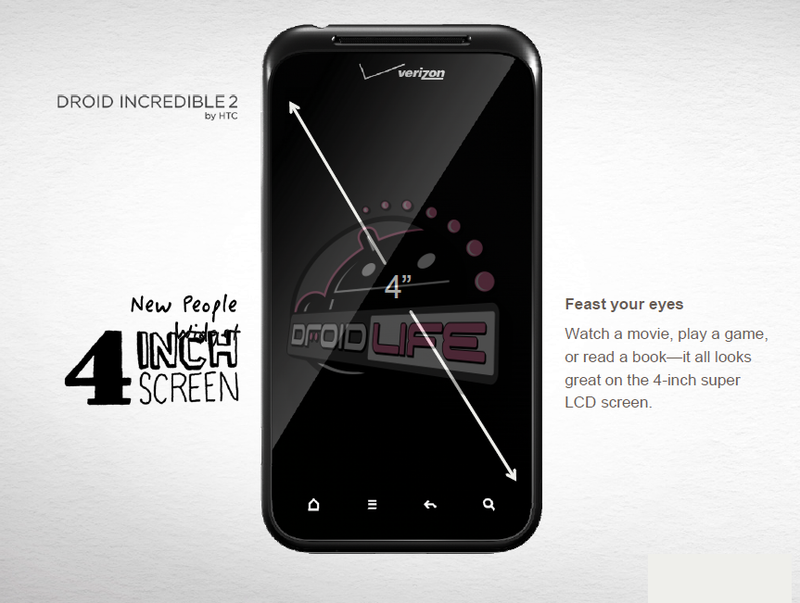 DROID Incredible 2 pre-sale tonight. Odd right? We’ve seen April 28th pop up twice now as a launch date, but according to online retailer Wirefly, you can pre-order the device tonight at midnight. It will then ship on the 28th. That was nice of them to make an announcement before Verizon has even acknowledged that it exists, wasn’t it? 2. DROIDX Gingerbread on May 10. Completely unconfirmed, but wouldn’t surprise us. A couple of Gingerbread leaks have snuck out, including one that appears to be pretty official. There are also rumors of a test group getting the update over the last week, so May 10 would give them just enough time to test it before it’s unleashed to the masses. 3. 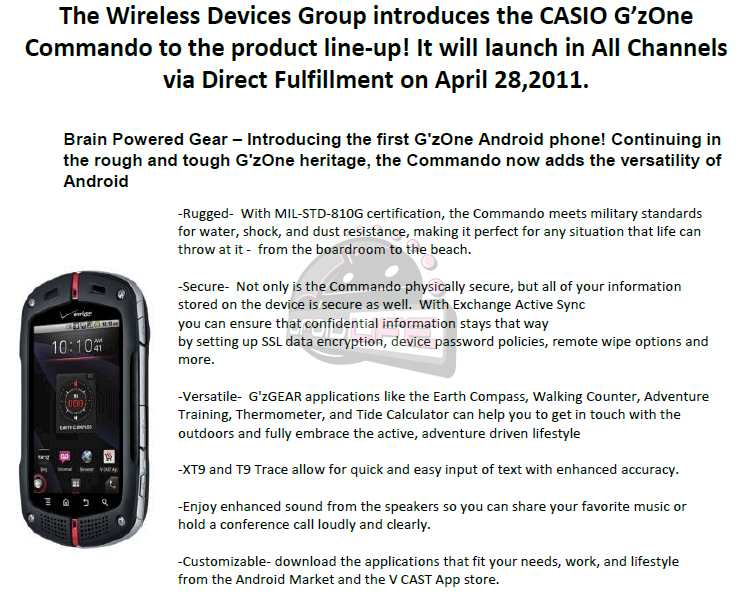 Casio G’z0ne Commando launching April 28. This isn’t much of a rumor since we have the all channel launch info below. This looks like one heck of a rugged beast. Oh, it runs Android 2.2, has a 3.6″ screen, 8GB SD card pre-loaded, 5MP camera, a bunch of outdoor apps (Earth compass, walking counter, Therm0-meter,etc. ), and is water and shock resistant. If I was a mountain man, this would be my steez.